A hydrating sheet mask for the eye area enriched with the nourishing powers of Okinawa red algae and peony extract. The unique coconut-derived biocellulose mask, developed originally to speed healing for burn victims, forms an occlusive layer on the skin. This enables the powerful actives to help promote the appearance of hydrated, revitalized-looking eyes, dramatically reducing the appearance of fine lines. It contains an antiaging complex of sonically extracted whole plant green tea, rice bran oil, and red algae—a trio of moisturizing and antioxidant ingredients that helps fight free radical attack. Non-irritating. Non-sensitizing. Dermatologist tested. Cruelty-free. Parabens, mineral oils, synthetic fragrances, sulfate detergents, urea, DEA, TEA or phthalates. Begin with clean, dry skin. Unfold the mask and peel away one layer of paper backing. Place the mask gel-side down on the skin and adjust to fit comfortably around the eyes. Peel away the remaining layer of paper and smooth the mask to the skin. Leave on for 15 minutes, enjoying the cooling and gentle tingling sensation of hydration. Remove mask and massage the remaining serum into the skin—do not rinse. 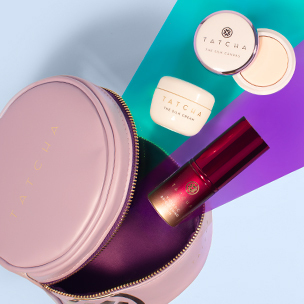 Seal in long-lasting moisture with Tatcha's Ageless Revitalizing Eye Cream. Luminous Deep Hydration Revitalizing Eye Mask is rated 4.9 out of 5 by 12. Rated 5 out of 5 by Patricia from Effective - great for puffy, tired eyes I've gone through three of these eye masks, always satisfied with the results. I usually wake up with very puffy eyes and this mask diminishes any inflammation. They comfortably fit around the orbital eye area and the essence acts almost like a serum to nourish the skin. I recommend these for anyone who suffer from allergies, after a long cry, prior to a big event (wedding, graduation, birthday) or frequent travelers. I've already purchased more to gift to friends and family. Rated 5 out of 5 by Anonymous from Weekly pampering session These sit in my fridge right next to the butter. (haha) Once a week, usually on a weekday night after a rough day, I whip a pack out and place them under my eyes while a luxuriate on the couch. They feel cool and soothing, and after 20 minutes I peel them away to reveal smooth, refreshed, hydrated under eyes. They are my secret to "appearing" well rested! Rated 4 out of 5 by Dee from Love it but.. I really love how my under eyes feel after using the mask, but I would love it more if they wouldn't slide down my face, for that I would give it a 4 stars. Also because it's a bit expensive. Rated 5 out of 5 by Ollie2525 from So refreshing! My new favorite mini ritual! I I’m actually loving these little eye masks. It was 100 degrees out today and I decided to try them out while I was trying to cool down before bed and they felt amazing! It’s like a gentle and refreshing cool feeling but not harsh at all. Just calming. 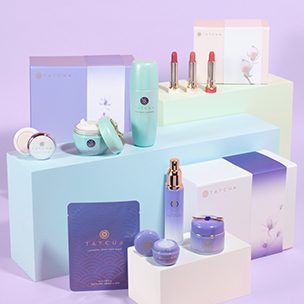 I have collected almost all of the TATCHA treasures (became a little obsessed, my wallet hates me now) each one has seriously done the job that Vicky and the TATCHA team created it to do. No joke. This little ritual I can tell is one of my new favorites besides my ritual in the morning. This night I used the cleansing oil along with the Deep Cleanse to wash my face, followed by the Essence. Placed the Eye Masks on and relaxed. Then I finished with the Enriching renewal eye cream to lock in moisture around the eyes and topped it off with the Luminous Dewy Skin Concentrate and WHOA... I seriously look awake. It actually worked! I was writing this review while doing all of this and I’m stunned by how well this just worked!!! YOU WILL LOVE IT! Rated 5 out of 5 by Quinn from Every working person's best friend I am beat before the weekend gets here. These eye masks do the trick in my busy morning getting me ready for work and my son ready for school. The quick boost of hydration relieves the puffiness under my eyes and makes it look like I slept for 8 hours. My secret now revealed! LOVE IT. Rated 5 out of 5 by Anonymous from Amazing These eye masks were the perfect pick me up and made my eyes look refreshed and wide awake! Thanks Tatcha! Rated 5 out of 5 by Brit from Ease swelling under the eyes after a long weekend I used this mask with the eye cream when I got home from a weekend at the snow. It was amazing the way it soothed my skin and ironed out all the wrinkles. Recommended for puffy or dry skin around the eyes. When should I use the Luminous Deep Hydration Revitalizing Eye Mask? We recommend using the mask 1-2 times a week, morning or night, as needed. Do I need to wash my face after removing the mask? No. Feel free to massage remaining serum into the skin after peeling the mask off. Follow with Ageless Revitalizing Eye Cream to seal in long-lasting moisture. Should I apply eye mask in the morning after moisturizer, before Silk Canvas and The Pearl? Thanks for your question! Our Eye Masks can be applied day or night to clean skin. If using them in the morning, we suggest first making sure all serum has fully absorbed into the skin and then following with The Silk Canvas and then the Pearl. We hope this helps! Begin with clean, dry skin. Unfold mask and peel away one layer of paper backing. Place mask gel-side down and adjust to fit comfortably around eyes. Peel away remaining layer of paper backing and smooth mask to skin. Enjoy the cooling and gentle tingling sensation of hydration for 15 minutes. Remove mask and gently massage remaining serum into skin. 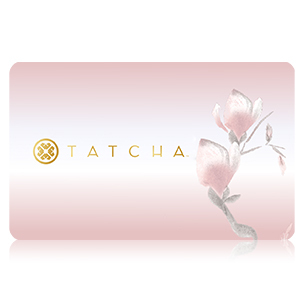 Follow immediately with TATCHA Ageless Revitalizing Eye Cream to seal in long-lasting moisture. We promise our formulas will always be free from parabens, synthetic fragrances, mineral oil, sulfate detergents, phthalates, urea, DEA, TEA and many other ingredients. The collection is non-irritating, non-sensitizing and dermatologist tested.